Internet Archive: Described as ‘a non-profit library of millions of free books, movies, software, music, websites, and more.’ Internet Archive is a great site to search for just about anything. The “Wayback Machine” allows the archives of the web to be searched. Users are then able to view archived web pages even for web sites which no longer exist. In terms of genealogical research there is a wealth of information available. Clicking on their American Libraries collection, for example, pulls up over 2,450,000 different items in over 1000 collections. A quick look under North Carolina Directories shows 925 city and business directories with a wide range of years. You can then select a specific directory to look at. Each directory is fully searchable and easily downloaded. All collections on Internet Archive can be filtered by Media Type, Year, Topic and Subject, Creator, and Language. The Internet Archive collection for World War II contains almost 6000 items including 2,839 movies, newsreels and audio recordings. Did you know you can see census records on Internet Archive? The United States Census collection holds over 23,000 items, with approximately 13,004,791 page images. Several historical societies provide content to Internet Archive as a means of preserving it for the future. The Minnesota Historical Society provides newspapers and manuscripts in the 2,661 items on Internet Archive and the Georgia Historical Society has several old journals and books in its’ collection. You can even listen to Winston Churchill as he sends his thoughts to American troops and citizens on Thanksgiving 1944, or to President Roosevelt as he calls on Congress to declare war on Japan on 8 December 1941. Both can be found in Internet Archive’s Community Audio collection. This brief introduction doesn’t do justice to the incredible resource that Internet Archive is. 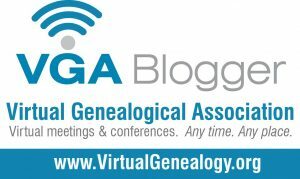 It’s a great tool to add to your genealogy toolbox. Sue, this looks fabulous. I will check it out very soon. Thanks for sharing. It’s a wonderful resource! Hope you have luck finding great things there! Thanks for stopping by! I really like Internet Archive, especially for finding out-of-print books. Thanks for the post. Thanks for raising that … I forgot to mention the out-of-print books that can be found on Internet Archive. I’ve been very fortunate in my searches for those. Thanks for your comment! Very interesting. I have learned something new. Always good to share the knowledge. Thanks for stopping by! I find it indispensable. Such a wide range of resources. From transcripts of Parish Registers and Churchwardens’ Accounts, to gazetteers, books and reports which all add colour to research. Some of what appear to be the most obscure reports can provide unexpectedly wonderful rich detail. Thanks for your comment and I agree. It really is a great resource for adding flesh to the bones, so to speak, of our ancestors.